Pacioretty, 29, joins center Ryan O’Reilly and left wing Jeff Skinner among notable trade candidates who were dealt this summer. On July 1, the Sabres shipped O’Reilly to the Blues. A month later (Aug. 2), the Sabres acquired Skinner from the Hurricanes. The return for the Canadiens isn’t as much as what the Sabres got (forwards Patrik Berglund, Vladimir Sobotka, Tage Thompson and two draft picks) for O’Reilly. However, it’s considerably more than the prospect (forward Cliff Pu) and three picks the Hurricanes received in the Skinner deal. With Pacioretty now off the market, focus shifts toward other notable players who’ve regularly surfaced in this summer’s rumor mill. Topping the list, of course, is Senators captain Erik Karlsson. 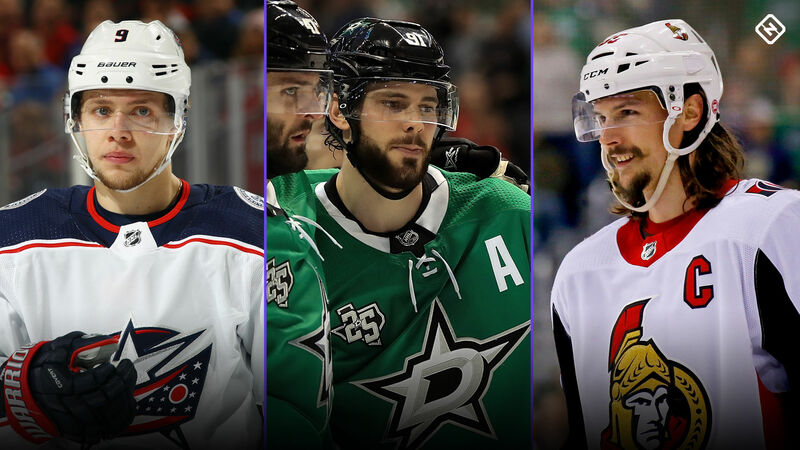 The 28-year-old All-Star defenseman was the focus of considerable media trade chatter leading up to last season’s trade deadline and during the early days of July. At one point, it was believed the Stars and Lightning were the front-runners and a deal seemed on the horizon. The only recent highlight of note came last week from NHL insider Darren Dreger, telling TSN 1050 he knew of one club that pitched “a pretty substantial offer” containing “six elements.” He broke it down as “at least a couple of roster players, at least a couple of prospects and at least a couple of draft picks.” Some of those assets would be conditional based on Karlsson re-signing with his new club. Dreger didn’t indicate which team made that proposal to the Senators. In addition to the Stars, Lightning and Canucks, rumors also linked the Sharks and Golden Knights to Karlsson since the trade deadline. The Golden Knights’ acquisition of Pacioretty could signal they’re out of the Karlsson sweepstakes. However, Dreger’s colleague Pierre LeBrun believes they’ll keep lines of communication open with Ottawa. He also said he was told two new teams held conversations with the Senators but didn’t say who they were. Blue Jackets left wing Artemi Panarin also became a hot topic of trade conjecture following reports in early-July indicating his reluctance to sign a contract extension. It’s believed he has a list of preferred destinations with the Rangers rumored as the favorite, though his agent repeatedly denied it. Blue Jackets general manager Jarmo Kekalainen last week told NHL.com’s Tom Gulitti he couldn’t guarantee if Panarin or goaltender Sergei Bobrovsky would start the season with Columbus. Kekalainen was merely speaking about anything being possible and wasn’t saying the pair, who are both eligible to become unrestricted free agents next July, will be traded by then. Gulitti believes both could remain unsigned when the season opens Oct. 3. Considering the Jackets hope to finally get beyond the opening round of the playoffs next spring, it’s unlikely they’ll move their leading scorer (Panarin) and their starting goalie (Bobrovsky) in the immediate future. If the Jackets fall out of postseason contention by the deadline, perhaps Kekalainen will consider peddling one or both. Last week, Stars GM Jim Nill said the two sides were “deep in discussions” and heading in the right direction. He repeated his intent of getting Seguin under contract before the season opens next month. Even if that doesn’t happen, Nill won’t his first-line center if the Stars become a serious playoff contender this season. Their championship hopes are better with Seguin in the lineup, even at the risk of losing him for nothing to free agency in July.